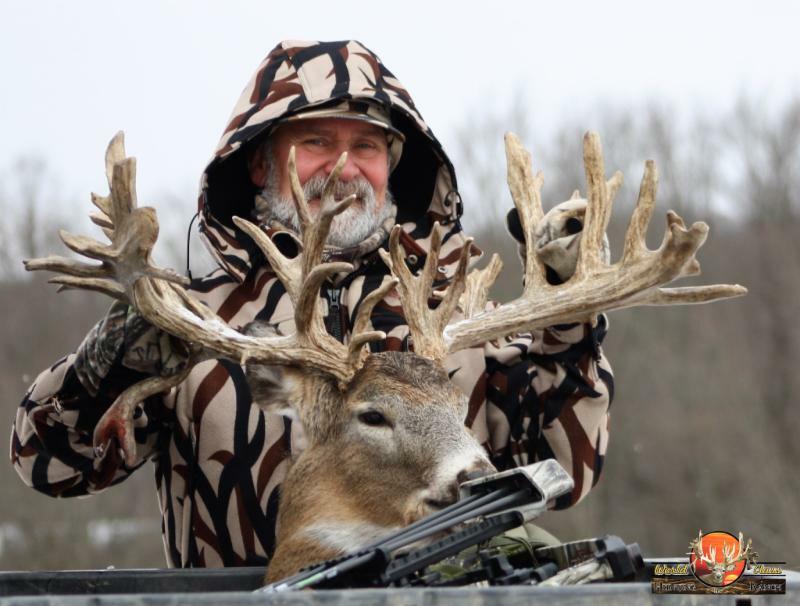 Wow, a late season bow hunt can certainly be an adventure! 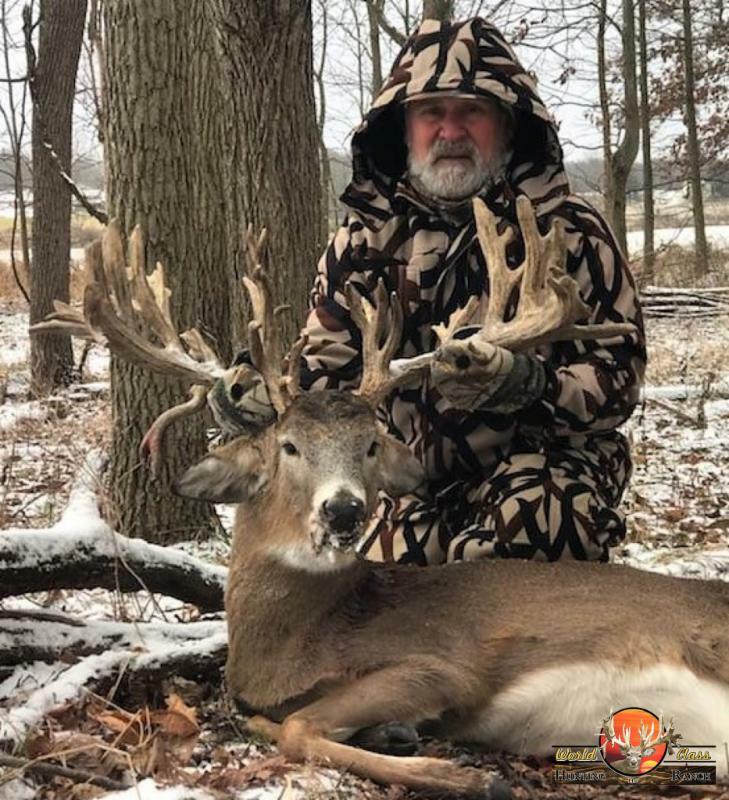 As Rich & Stephan made their way toward the blind they seen numerous bucks, but obviously nothing close enough for Stephan’s Mathews Halon 32 bow, and so they settled in at the Blind to see what the afternoon might bring. 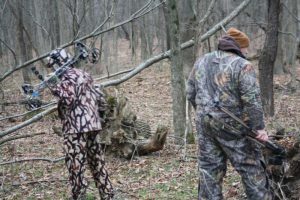 After a few hours, the deer started moving through the woods, and a couple of bucks came by that Stephan made a mental note of, as he wanted to see what bucks were here before taking a shot. Toward evening this breeder buck comes by that was on the Management list because he had been causing a ruckus with other bucks, Stephan didn’t think twice about whether he wanted to harvest this buck, he continued walking, and here he is, 25 yards broadside, a soft whistle stopped him, and Stephan took the shot. 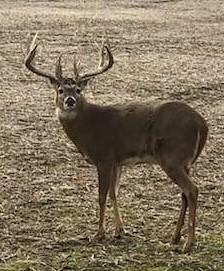 Rich replayed the video, but couldn’t quite come up with where the buck was hit. They waited a while, then found a minor blood trail, and followed it for a while. Then they hopped on the Gator with Owen and took a drive around to see if they could find him. 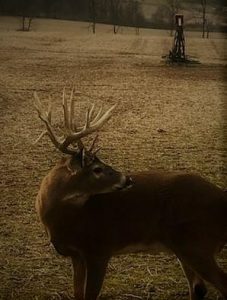 After a while they got close enough to see with their binoculars that the buck only had a slight scratch, and was no longer losing any blood, and by now it was darkness had set in, so they decided to head for dinner and come back after him in the morning. Thursday dawned cold, and snowing! Quite a change from the 40 degrees yesterday! 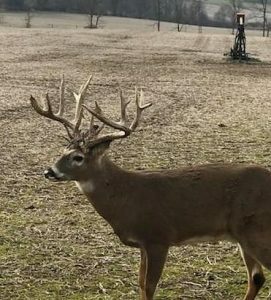 So, after getting dressed for the colder weather they decided to walk to the blind, thinking they may get a chance of stalking up on Stephan’s buck. Sure enough, they did kick him up, but he was long gone before they were able to get a shot. Now Rich had brought his 20 guage along, due to the fact that there was a good possibility of not getting this buck within 30 yards again. Well, the forenoon wore on, and finally they seen there was no chance of the bow. So, the shotgun was loaded, and sure enough finally an 80 yard shot presented itself. And Stephan was introduced to the world of gun hunting! Congratulations Stephan on a great hunt! We had a great time in the snow, and look forward to seeing you back next season!